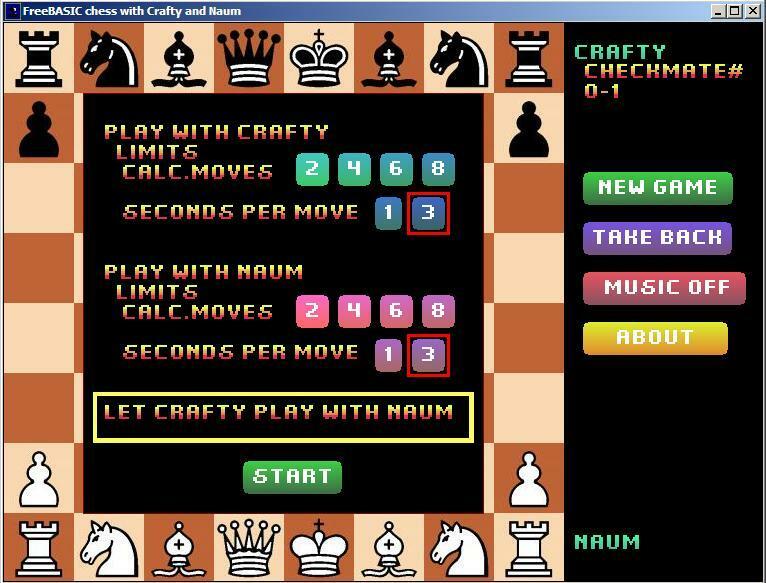 This FreeBasic chess program uses Crafty and Naum chess engines via DLL library, designed for UCI programming on Windows. 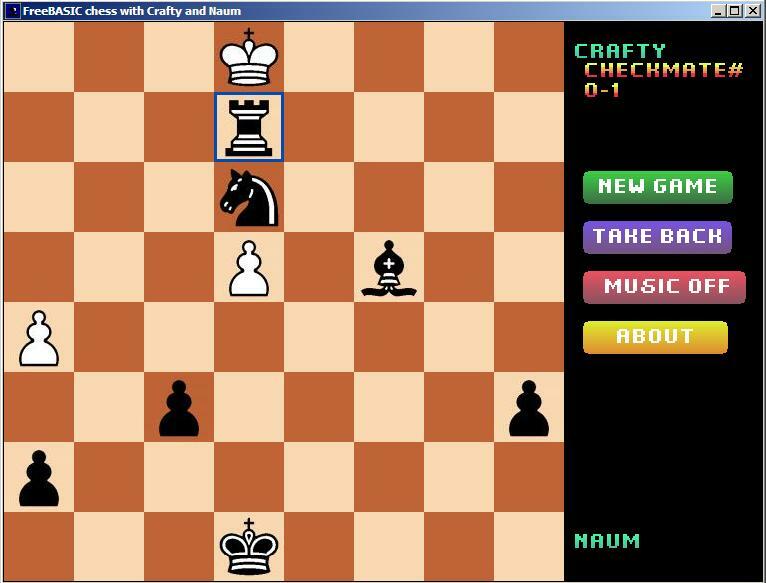 User can play by mouse or set engines to battle each other. FreeBasic has good IDE editor, combined with GCC compiler that generates small and fast binary, unfortunately Win32. Anyway, it is BASIC! Hi! Is it possible to the project can be extended to other site (http://free-basic.ru/), of course with a link to your blog? I'm putting together a good programs, writen in Freebasic. Thanks, already posted the program. And under Linux it is expected?